Bliss Mfg., Oval St. Christopher 14KT Medal. 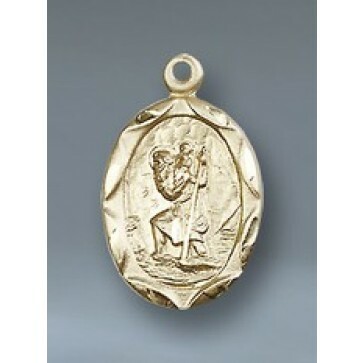 An exceptional oval hand engraved St. Christopher medal in 14KT gold. This gorgeous medal is made with the finest attention to detail. 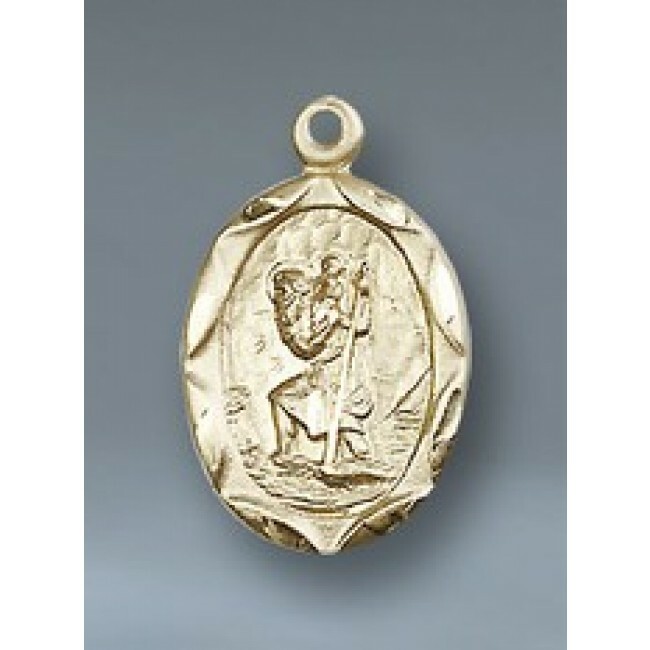 This exceptional image on the medal represents St. Christopher crossing a river when a child asked to be carried across. When Christopher put the child on his shoulders he found the child was unbelievably heavy. The child, according to the legend, was Christ carrying the weight of the whole world. As a reward for his service, Christopher's staff was miraculously transformed into a living tree, and Christopher himself became the Patron Saint of travelers, and travels.